Are you looking for an easy and seamless way to earn money simply by using your smartphone? If yes, then you have landed on the right page. InboxDollars features to be a popular mobile app (which can be downloaded either from Google Play store or iOS app store) that lets you earn extra cash without indulging yourself into any hectic and stressful task. So, are you now interested to know more about InboxDollars and how it helps you make money online? Well, please keep reading and know more about the tips and tricks of earning money through InboxDollars. Well, as mentioned in the previous section, it’s a mobile app that rewards you when you complete online activities like watching videos, taking surveys, reading emails, playing games, online shopping, and more! So, how does InboxDollars actually work? Well, in a nutshell, it can be mentioned that the app pays you for performing online activities for different brands. As you probably know, renowned brands are always looking for consumer inputs in order to improve and streamline their products and services. To get diverse consumer inputs, InboxDollars recruits members like you, ask you to perform simple online activities and capture your response. In return, the app pays you real cash. We’ll pay you $5 for activating your account. To do this, after signing up you’ll need to look for your first PaidEmail in your email inbox and confirm receiving it. Tip: it may take a couple minutes or more for it to show up. And if you don’t see it in your primary inbox, check your promo, social, spam, or other filtered folders. You can read more about activating your account by confirming your first PaidEmail here. Completing this survey will help us match with you surveys that could be a good match for your profile. Everyone qualifies for this survey! It takes a few minutes to complete, and you’ll earn $ 0.50 for filling out the profile survey. 3.Complete your first paid survey on our surveys page. 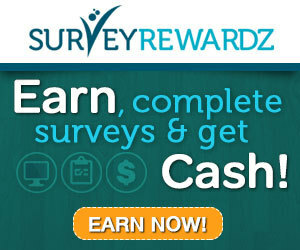 The very first paid survey you complete on the Surveys page pays out $ 0.25 or more. 4.Complete the InboxDollars Household Survey. This survey will tell us a little bit more about your household (i.e. how many children living there, rural or urban area) and help us better match you with surveys. Everyone qualifies for this short survey, and you’ll earn $ 0.10 for completing it! 5.Complete the InboxDollars Interest Survey. Similar to the Household Survey, the Interest Survey helps us better understand your interests so we can match you with surveys or earning opportunities that could be a good fit. Again, everyone qualifies for this survey and you’ll get paid $0.10 for it. 6.Complete the Big Buck Survey. If you complete the short Big Buck Survey, you’ll earn $ 2.50. Big Bucks Survey is one of InboxDollars’ top 10 offers. Big Bucks gathers consumer data to help brands better understand household shopping habits. 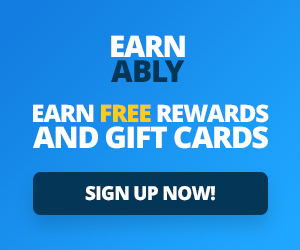 In addition to earning $ 2.50 from InboxDollars when you sign up with valid information, you’ll also win a chance at a $ 1,000 Target gift card. Drawings are held monthly for this prize. Next articleCAN I REALLY MAKE MONEY WITH INBOXDOLLARS?